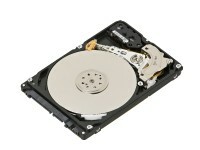 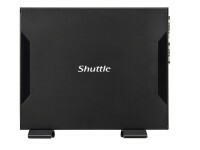 The shuttle DS77U is a fanless ultra-slim PC powered by 7th generation Intel Celeron 3865U (ULV). 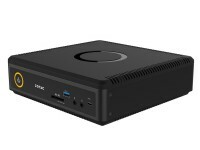 Its powerful graphics engine is capable of playing 4K video content. 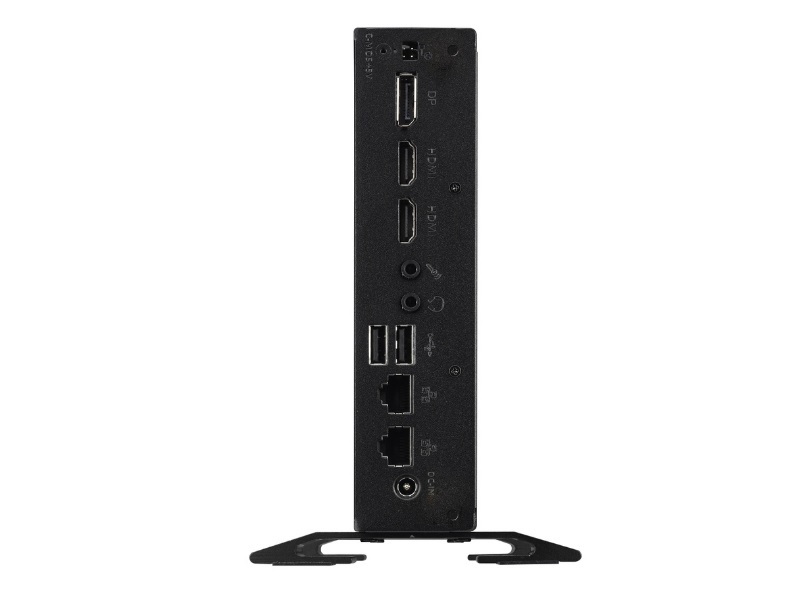 With a slim profile of less than 40 mm and the international VESA mounting standards, allowing users to decide the most appropriate back placement configuration depending on different environments. 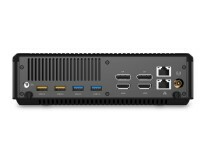 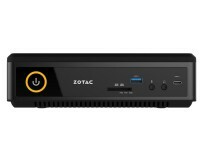 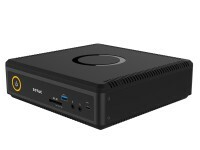 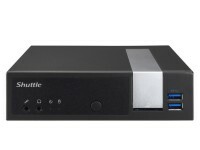 The shuttle DS77U is highly connectable with USB3.0/USB2.0, two COM ports (RS232, RS232/422/485), and dual Intel® Gigabit LAN ports. 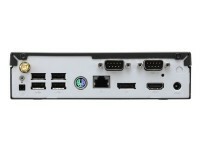 Compared to previous mainstream models, the DS77U series is the first model to provide two HDMI and one DisplayPort to support up to triple Full HD displays. 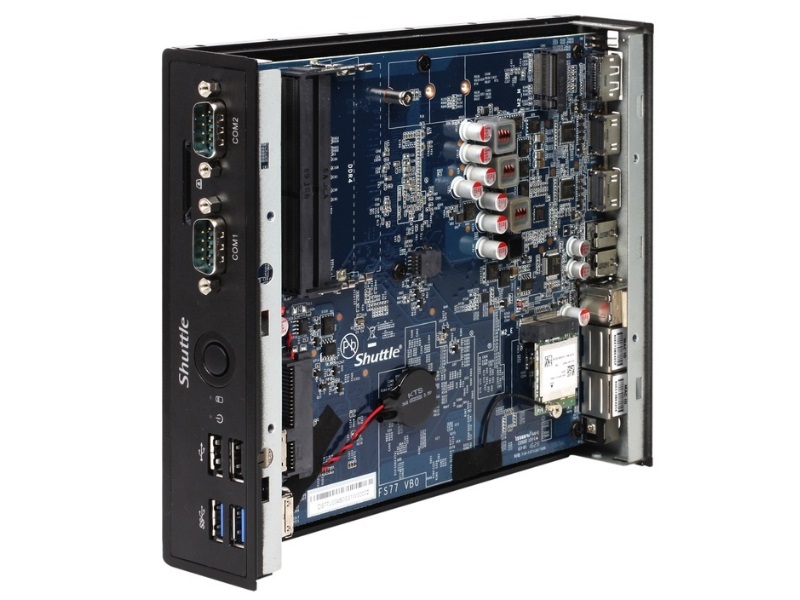 The shuttle DS77U is designed for support both 12 Volts and 19 Volts inputs, it is an industry-grad signage platform for use in commercial applications which require long-term operation such as automotive, digital signage, kiosk and more. 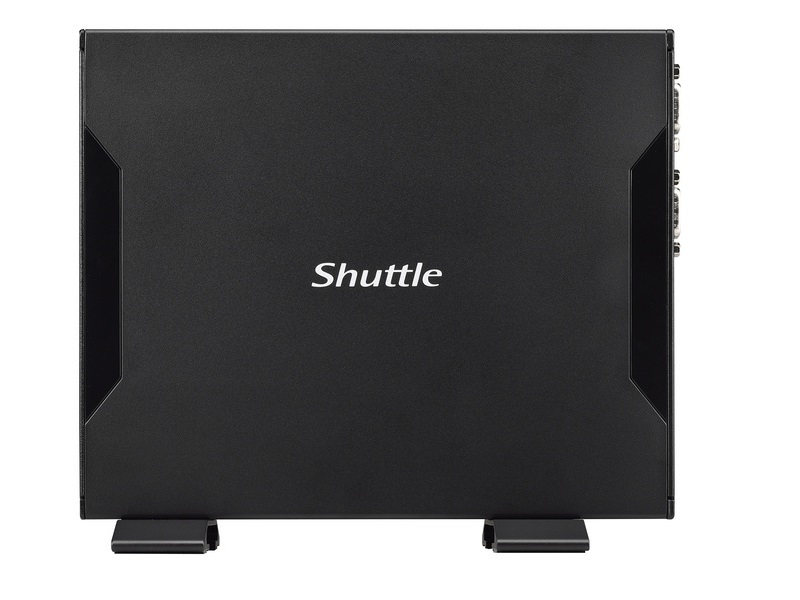 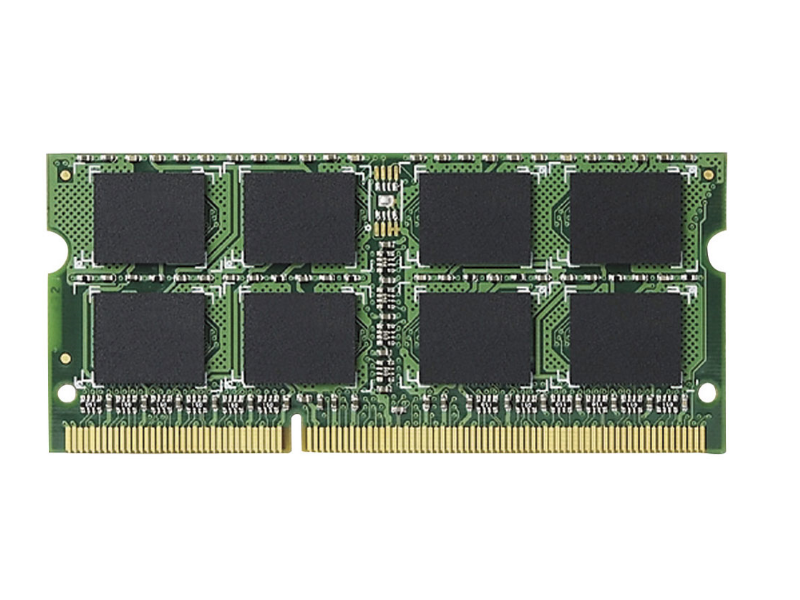 The shuttle DS77U supports the new Intel® Kaby Lake-U platform technology, equipped with1 4nm Intel® Celeron® 3865U 1.8GHz dual core processing power. 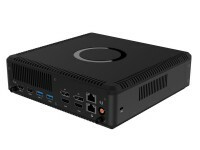 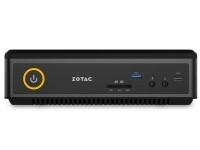 It features support for up to DDR4-2133 32GB memory and built-in Intel® HD 610Graphics, able to deliver 4K video playback. 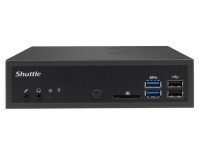 The shuttle DS77U has built-in HDMI and DisplayPort video outputs to support 4K high resolution (3840×2160). 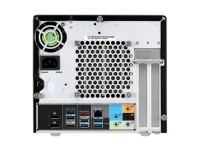 Now with four times the resolution of Full HD, viewers can enjoy the super detailed and crystal clear imaging of 4K. 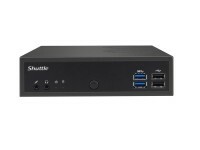 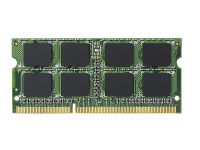 The shuttle DS77U has is built-in Intel® i211 and i219 Dual Gigabit LAN as well as support for Wake On LAN and Teaming Mode function to provide high-speed data transfer capability and a better compatibility for business network environment. 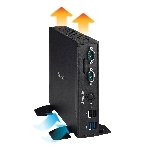 With a built-in Realtek RTL8188EE 802.11 b/g/n wireless network module,provides high-speed wireless data transmission speed. 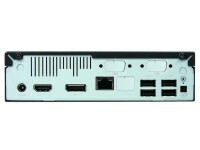 The slim shuttle DS77U meets international VESA mounting standards and is capable of mounting to the rear of a LCD monitor or a TV. 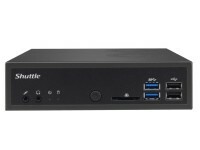 The Shuttle DS77u includes two HDMI and one DisplayPort* video outputs to support up to three Full HD displays. 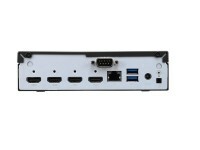 Use an adaptor to convert HDMI into DVI interface and DisplayPort into HDMI or DVI interface for diversified signal selection. 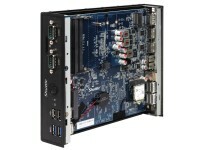 The exclusive integration low-power consumption design and fan-less cooling, the DS77U series runs only 65W adapter in full use and can keep stable for long-time operation; Compared with traditional PCs, a nearly 40% noise reduction during the operation– ideal for noise sensitive environment like hospitals and libraries. 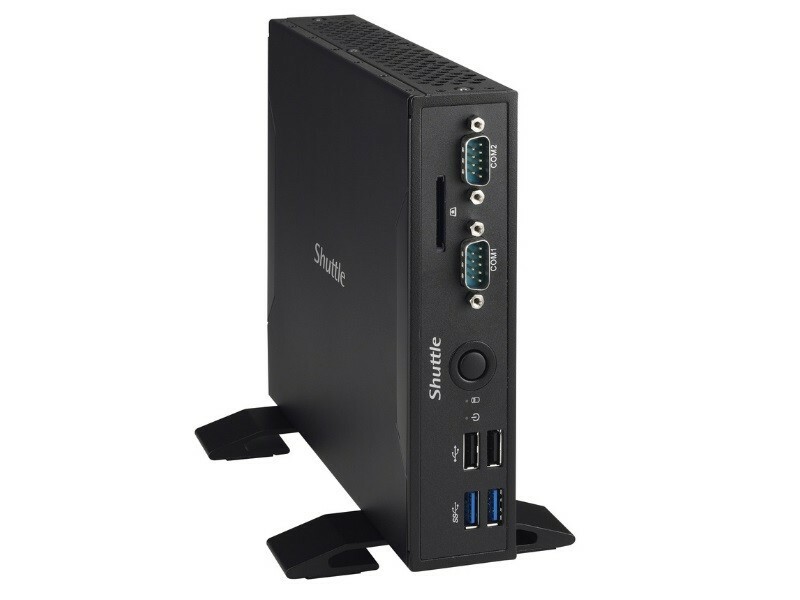 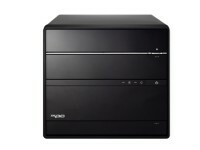 The Shuttle DS77U is totally fanless, and makes an idea PC for a variety of commercial uses, and particularly digital signage. 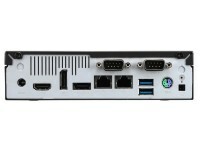 Onboard Intel HD graphics 610 with 2x HDMI 1.4 and 1x Displayport. Supports upto 3 monitors. 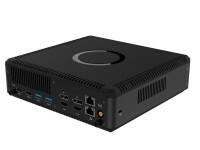 Supports 4k @60Hz through displayport.